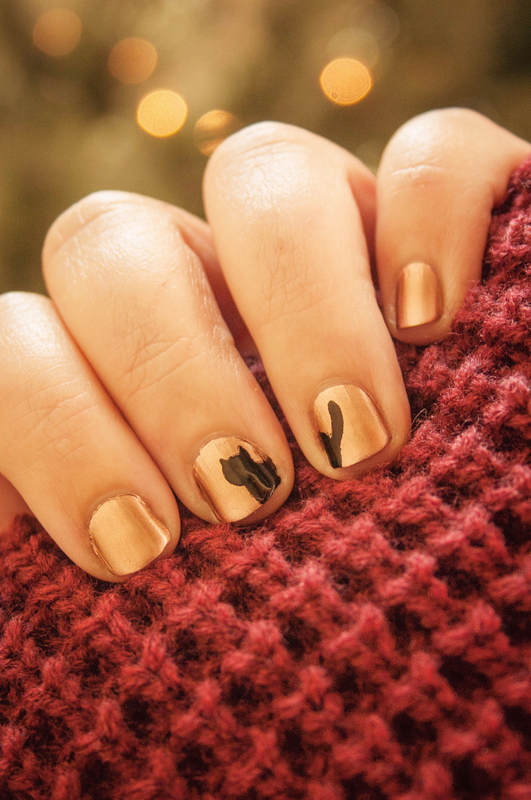 Fancy a cat walking across your fingers? 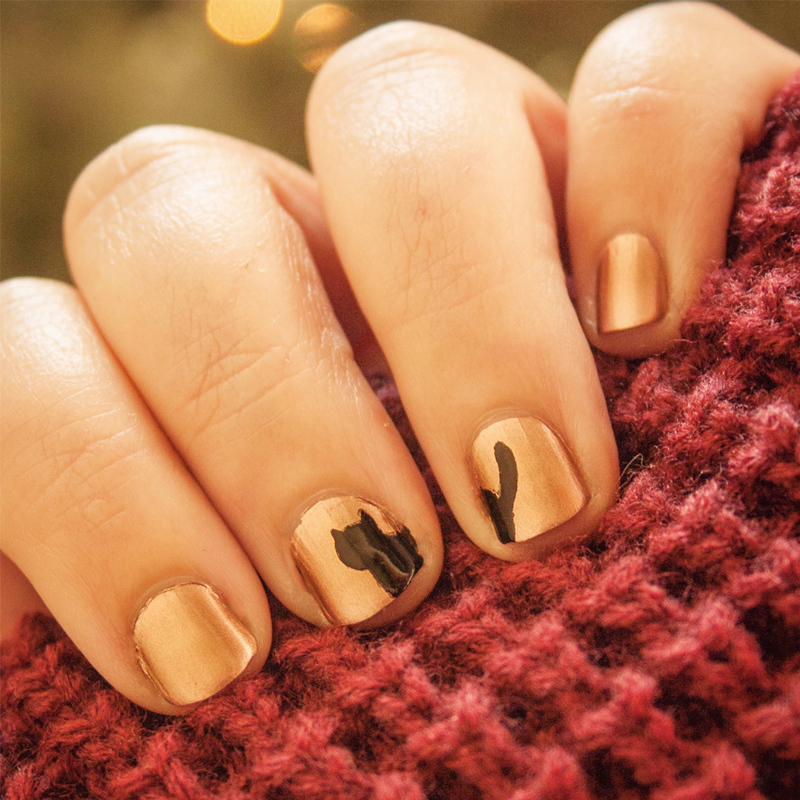 This nail art is super easy but will leave people wondering how you did it. 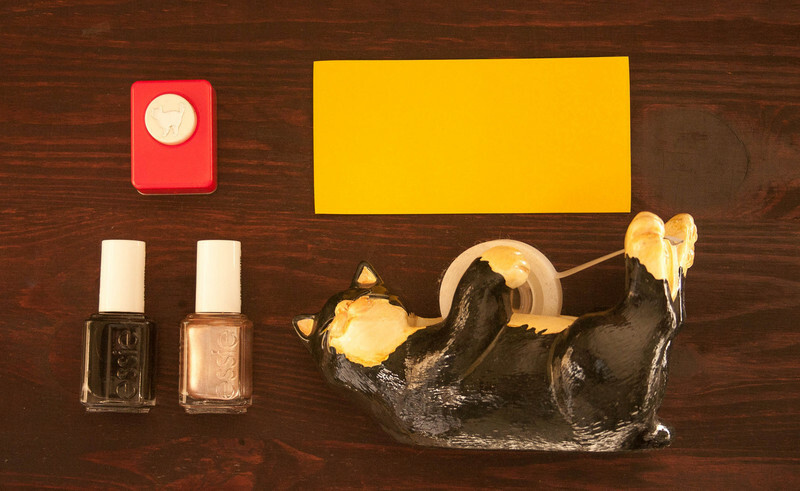 Paint your base coat in your chosen color. I used Penny Talk by Essie. Wait until it's nice a dry. I like to wait at least 1/2 hour. 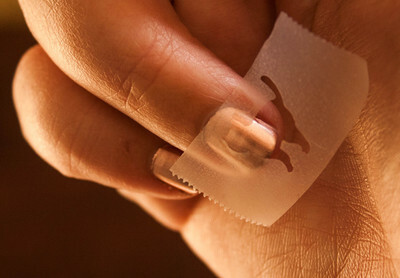 Put a piece of scotch tape on the back of your hand and peel it off a few times. This will make it less sticky and easy to work with. Put the tape on a piece of paper and cut out your design or use a paper punch with your desired shape, like my cat one pictured. 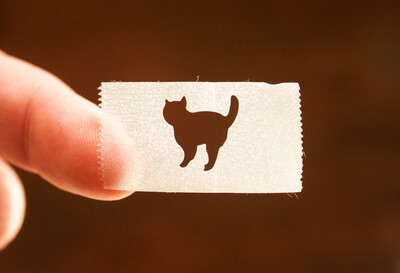 Peel the tape off of the paper. 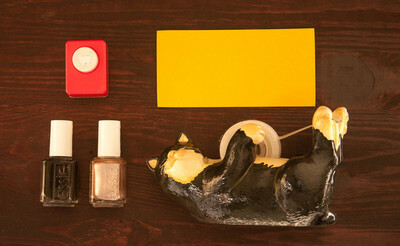 Place the tape where you want on your nail and paint over it in your color of choice. I used Licorice by Essie. Carefully peel the tape off right away. Repeat as you wish on other nails. Wait for them to dry and cover with a clear top coat. So simple, thank you for this. Those are so cool and Creative I love it!!!!!! !